Florida is a beautiful state, and High Springs FL is one of the many great places to live in The Sunshine State. For a small town of about 3,600, High Springs has more than its fair share of tourist attractions. Outdoor adventures to be enjoyed there by residents and tourists alike are plentiful. They include swimming, diving, tubing, and snorkeling in natural spring waters that remain 72○ year around. A quality self-storage property in High Springs, Florida, is just one of the five reasons below to love living there. O’Leno State Park in High Springs, Florida, has unique features that make it a great destination. A river that flows through the park disappears below ground and emerges in the River Rise State Preserve, which is more than 3 miles away. The park also has river swamps, sinkholes, sandhills, and hardwood hammocks. A suspension bridge built in the 1930s by the Civilian Conservation Corps (CCC) still spans across the scenic Santa Fe River. The full-facility campground has abundant shade. Visitors can hike the nature trails, which display the beauty of native plants. Ginnie Springs offers the unforgettable experience of cave diving in a crystal water paradise. Make reservations early to stay at an overnight rental cottage. A limited number of visitors can get in on the fun each day. Only campers have 24-hour access. For an experience that has earned 5 stars from reviewers, visit Rum 138, a destination near Rum Island County Park. Rum 138 in High Springs FL offers rentals and transportation for a half day or full day on the Santa Fe River. Visitors can bring their own picnic and cooler, and drinks and snacks are also available. In addition to enjoying the river, you can visit an Art Gallery that features more than 30 artists. Included there, you will find ceramics, jewelry, sculptures, photography, print makers, and fine art paintings. Although Rum 138 is open year around, it’s closed every Tuesday. High Springs FL is home to fishing charters that offer memorable fishing expeditions. The local captains are especially skilled at providing action-packed days filled with fun, fish, and the opportunity to go snorkeling in clear, beautiful water. When you’re in a place like High Springs, Florida, it’s not unusual to need a secure self-storage facility. Whether you’ve moved into a smaller home and need to store belongings or you have a boat that needs to be stored, you can find the self-storage you need. If you are interested in making an investment in self-storage in High Springs FL, Weaver Realty Group can help. Currently, a self-storage facility with a history of high occupancy is available for sale. Recent improvements have been made, and the 313 units are located on 3.9 acres. There is also room for expansion. 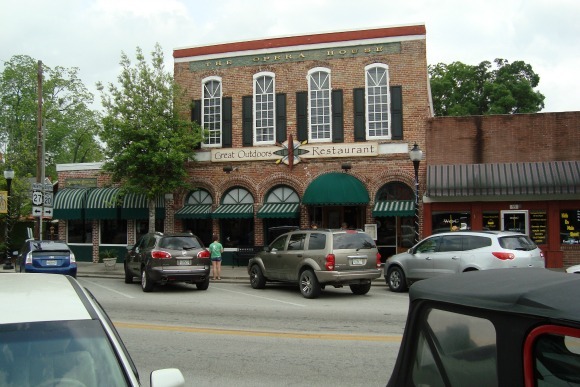 High Springs, Florida, is a charming town in the service area for Weaver Realty Group. Weaver is an Argus affiliate, which means the company is part of a nationwide network of self-storage properties. If you are interested in learning more about self-storage investment property or the self-storage in High Springs currently up for sale, contact Josh Koerner at Weaver Realty Group by calling (904) 591-0140.